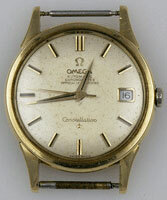 We offer all types of repairs and maintenance for your antique or vintage watch. Our trained horologists are skilled in all facets of repairs from basic cleaning and adjusting to replacing worn or broken parts, jewels, mainspring replacement, dial restoration or replacement, case restoration etc. If we are unable to locate a replacement part for your watch we can often make one from original type materials  this helps maintain the authenticity and value of your timepieces. We professionally handle all types of pocket and wrist watches including high grade chronographs, repeaters and calendar models. All watches are kept securely locked in our safes when not actually being worked on so you can rest assured your treasured timepiece is in good hands. When sending your watch in for repair/restoration please include a typed document detailing the actual fault(s), your name & address, contact number(s) and what exactly your expectations are. We never undertake any works without first consulting the client and always keep you informed of any additional works we find during the course of the repair. Please bear in mind that some particularly difficult faults or restoration work can take many months to complete due to the scarcity of particular parts or current workloads. We always appraise the client of estimated repair times before any work actually commences. Please don’t send vintage or collectable watch boxes with your watch, only send your actual watch and only use packaging which can be discarded. All our repairs are warranted to our customers for a period of 6 months from date of original repair. While we always strive for perfection in our work, no warranties can be made regarding the accuracy of a watches timekeeping asserted by the original manufacturers on vintage or antique timepieces when they were new. 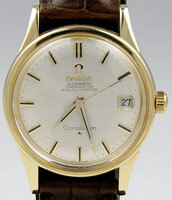 If you wish to send your watch(s) to us for repair, restoration or service please email us with your contact details and we shall contact you with details of where to send your watch along with an estimated time frame in which you should expect to hear back from us regarding the works. All customer details are treated in the strictest confidence and we never disclose the information held in our client database to anyone.